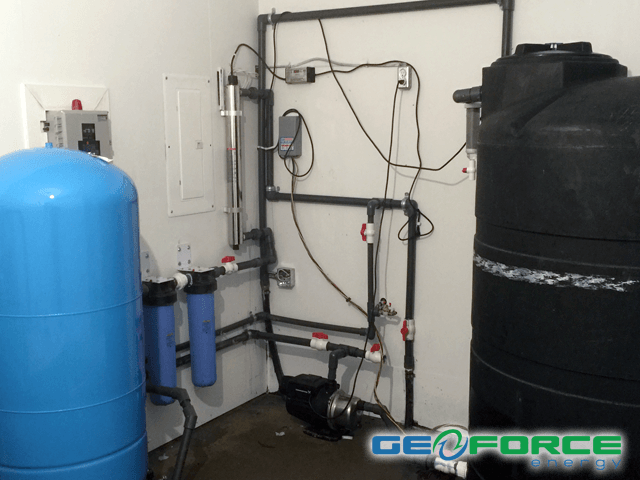 Are you looking for a residential water treatment system for your home? It can be difficult to determine whether you actually need a residential water treatment system or what type of system would be best for you. Although the choice to use a water treatment system is up to each individual, consider these factors in your product selection process. Not all products may be effective for the same group of contaminants. If you have identified a specific contaminant in your water that causes you concern, use NSF’s contaminant selection guide to locate products that are certified to reduce specific contaminants. If you are unsure what contaminants are present in your water, in the U.S. and some cities in Canada you can obtain a copy of a water quality report from your water provider. If not available in your area or if you have a private well, you may want to consider having your water tested. By identifying which contaminants are present, you can then choose a water treatment system that is certified to address your major water quality concerns. Whole house/point-of-entry (POE) systems typically treat all or most of the water entering a residence. They are usually installed after the water meter (municipal) or pressurized storage tank (well water). A water softener is an example of a POE system. Personal water bottles consist of a reusable bottle with a built-in filter. The bottle may have a push/pull cap or a straw and are designed for individual use. Pitcher or pour through filters use gravity to move water through a filter. Most products in this category are pitcher style and typically have a lower capacity (i.e. can filter fewer gallons) than other types of systems. Faucet mount filters attach to the end of a standard kitchen sink faucet. A diverter is used to send water through the system when filtered drinking water is desired. These filters cannot be used with most specialty faucets, such as those with a pull-out sprayer. Counter top filters sit on the counter next to the kitchen sink and connect via a small diameter hose to the end of an existing kitchen sink faucet. Filtered water is usually dispensed from a spout on the system. Plumbed-in systems install inline and filter all water passing through the pipe. With the exception of shower filters, most inline systems are intended for installation on cold water pipes only. Plumbed-in to separate faucet systems install in a manner similar to plumbed-in systems, e.g. under a kitchen sink. However, the filtered water is dispensed through a second smaller faucet rather than the main kitchen faucet. Refrigerator filters treat water and ice dispensed by a refrigerator and include both built-in/integrated and aftermarket styles. Filtration (NSF/ANSI 42 and NSF/ANSI 53) — Contaminants are reduced by being trapped in the pores of the filter or by being adsorbed or broken down by the filter media contained in the system. Carbon filters use this technology to filter water. Water softeners (NSF/ANSI 44) — Water softeners covered by this standard use cation exchange resin, regenerated with sodium chloride or potassium chloride, to reduce hardness (e.g. excess calcium and magnesium) from the water. These minerals are replaced with sodium or potassium ions, depending upon the type of softening pellet used. Ultraviolet disinfection (NSF/ANSI 55) – These systems use ultraviolet light to either disinfect water (Class A systems) or to treat heterotrophic (non-disease causing) bacteria in the water (Class B systems). Reverse osmosis systems (NSF/ANSI 58) — RO systems reverse the natural flow of water so that water passes from a more concentrated solution to a more dilute solution through a semi-permeable membrane. Most reverse osmosis systems incorporate pre- and post-filters along with the membrane. Distillers (NSF/ANSI 62) — These systems heat water to the boiling point and then collect the water vapor (steam) as it condenses, leaving many of the contaminants behind, particularly the heavy metals. Some contaminants that convert readily into gases, such as volatile organic chemicals, can carry over with the water vapor. Shower filters (NSF/ANSI 177) — These systems to attach to residential shower head supply pipes and are designed to reduce chlorine levels in shower water. Treatment Systems for Emerging Contaminants (NSF/ANSI 401) — Systems covered by this standard include several types of point-of-use (POU) and point-of-entry (POE) systems that have been verified to reduce up to 15 emerging contaminants from drinking water. NSF also tests for other contaminant reduction capabilities under several test protocols, including NSF Protocol P231 for microbiological purifiers and NSF/JWPA Protocol P72 for iodine reduction. So, as you can see, there are many things to consider when looking for a residential water treatment system. Call us at 604.897.3411 for your free consultation on which water treatment system is best for you. 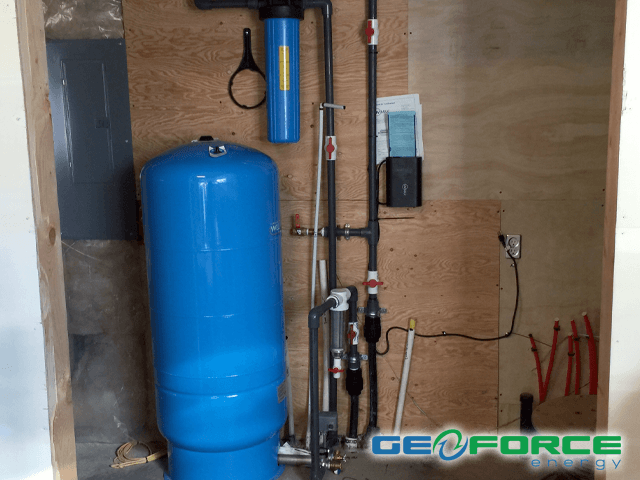 GeoForce Energy offers residential water treatment services in Serving Vancouver, West Vancouver, Squamish, Whistler, Tsawwessen, Burnaby, Richmond, Ladner, New Westminster, Surrey, Delta, White Rock, Cloverdale, Langley, Walnut Grove, Aldergrove, Port Moody, Port Coquitlam, Abbotsford and Metro Vancouver, we’d love to hear from you – no project is too big or small.